Of all the massive Zeppelin’s constructed, the most famous was the Hindenburg. The Hindenburg was designed to ferry passengers across the Atlantic in serenity, with the dirigible floating smoothly through the clouds. 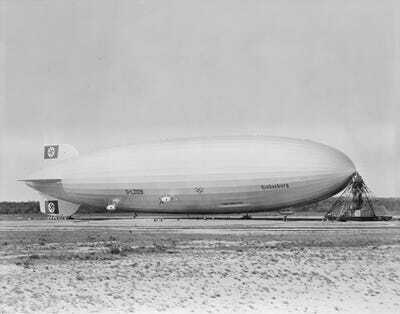 The Hindenburg was the first of two “Hindenburg” Class airships constructed by the Zeppelin Company. 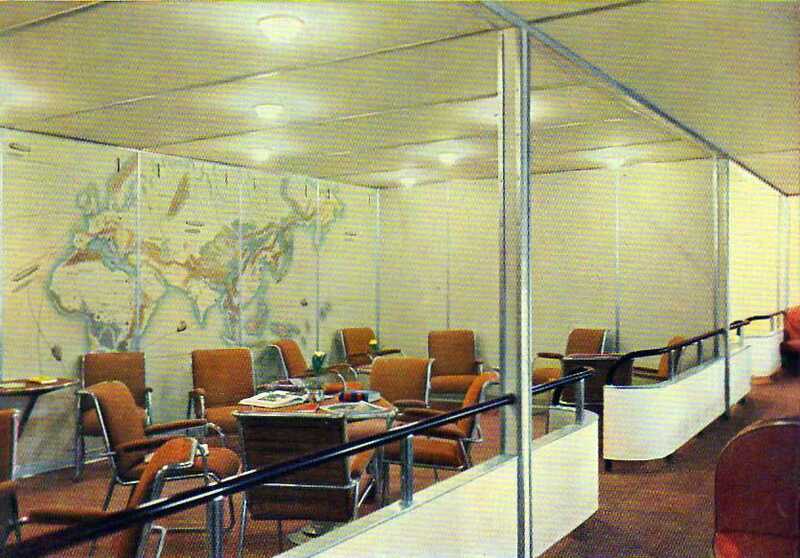 Construction of the airship began in 1931 and was completed in 1936. The Hindenburg, along with its highly successful predecessor, the Graf Zeppelin, made numerous trans-Atlantic crossings in their brief but illustrious careers. Constructed out of an aluminium alloy called duralumin, the Hindenburg’s massive framework was filled with seven tons of hydrogen. Hydrogen is much lighter than air and allows the massive Zeppelin to carry more people in greater levels of luxury. However, with an ignition source, an oxidizer, and right concentration, hydrogen can also be incredibly flammable. The legend of the Hindenburg’s luxurious amenities are well known, but most have not seen them in living colour. 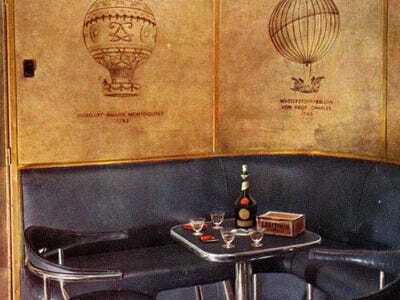 So take the opportunity to check out these wonderful photos of the Zeppelin’s passengers spaces courtesy of airships.net and the German Federal Archive. 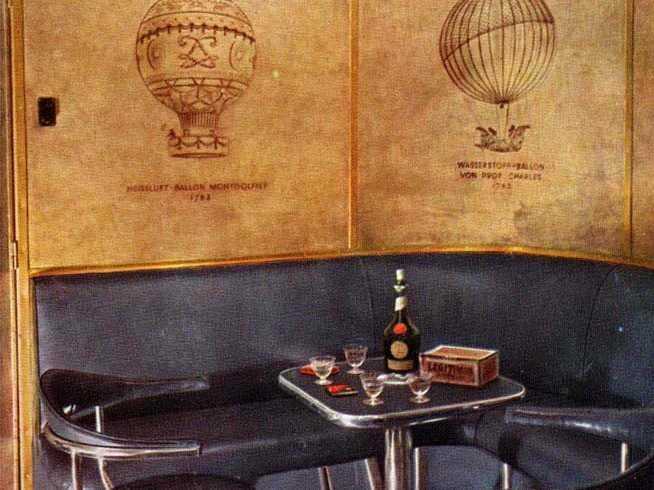 Prior to the age of the airliner, Zeppelin airships ruled the skies over the north Atlantic — connecting cities like New York with Western Europe. 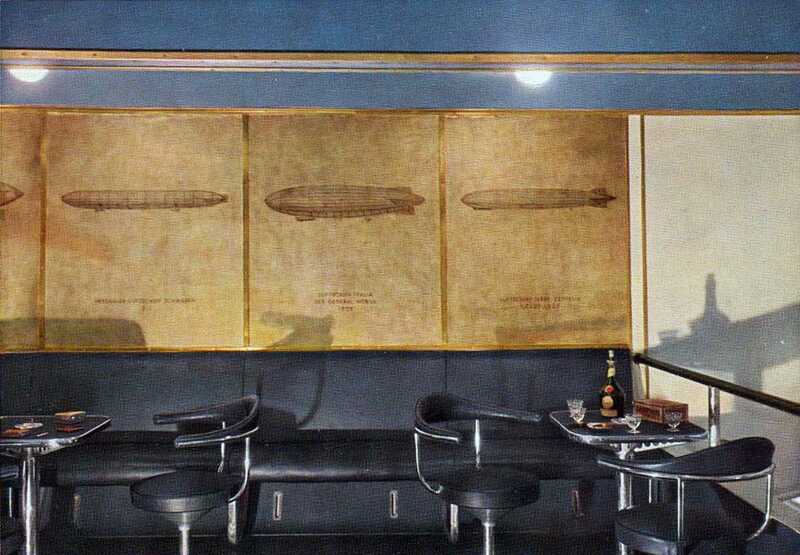 Zeppelin’s fleet of airships included such colossal creations like the Graf Zeppelin and the Hindenburg (seen here) along with the less famous Graf Zeppelin II. In fact, here’s a photo of Business Insider’s former world headquarters taken from the Graf Zeppelin in 1929. 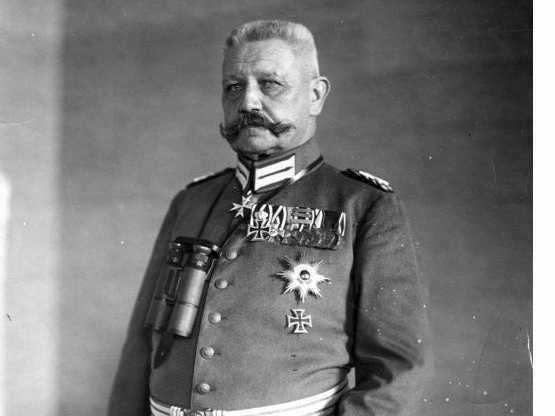 The Hindenburg was also fast. 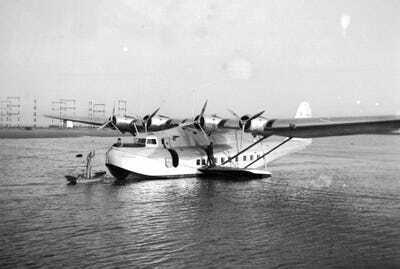 It’s quickest transatlantic crossing took a mere 43 hours. 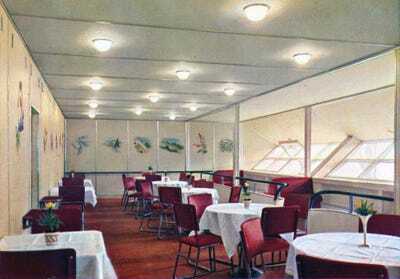 This was a drastic improvement of the four days it took even the speediest of the ocean liners. 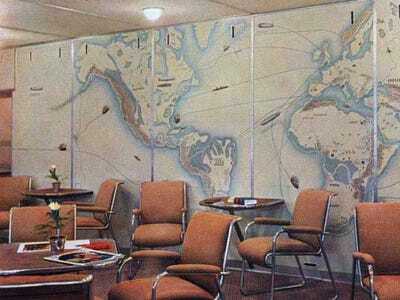 However, the Hindenburg’s ultimate calling card was its luxury. The airship’s luxury accommodations like the dining room — seen here — were located within its fabric hull, while the gondola where the crew commanded the ship was located below. 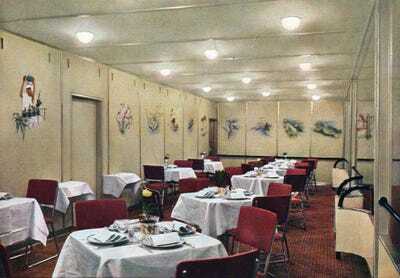 The 19-foot-wide and 43-foot-long dining room featured silk wallpaper depicting the exploits of the Hindenberg’s sister ship, the Graf Zeppelin. The chairs were even made from tubular aluminium to reduce weight. Located near the dining room was the Hindenburg’s lounge. 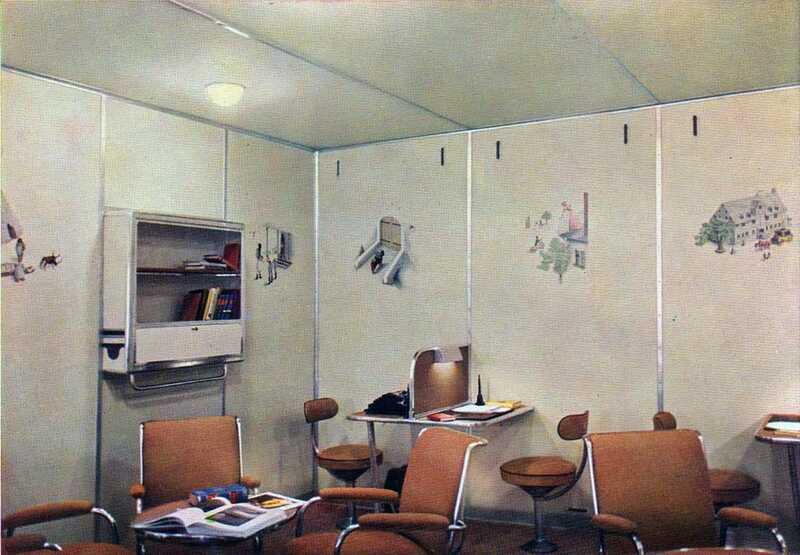 It, too, featured lightweight aluminium seats — see here upholstered in brown. During its first year of service in 1936, the lounge even featured a grand piano. However it was removed in 1937 and was not onboard for the final flight. 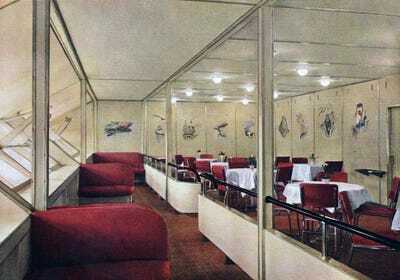 Sandwiched in between the lounge and the dining room were the Hindenburg’s passenger cabins. 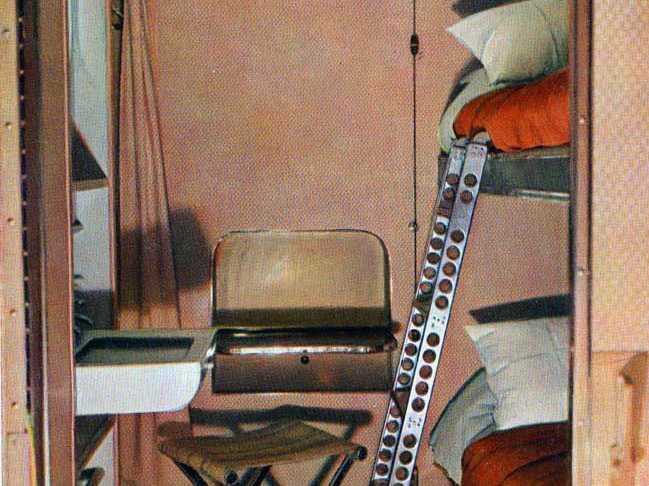 They measured 78″ X 66″ and featured a pair of bunk beds. 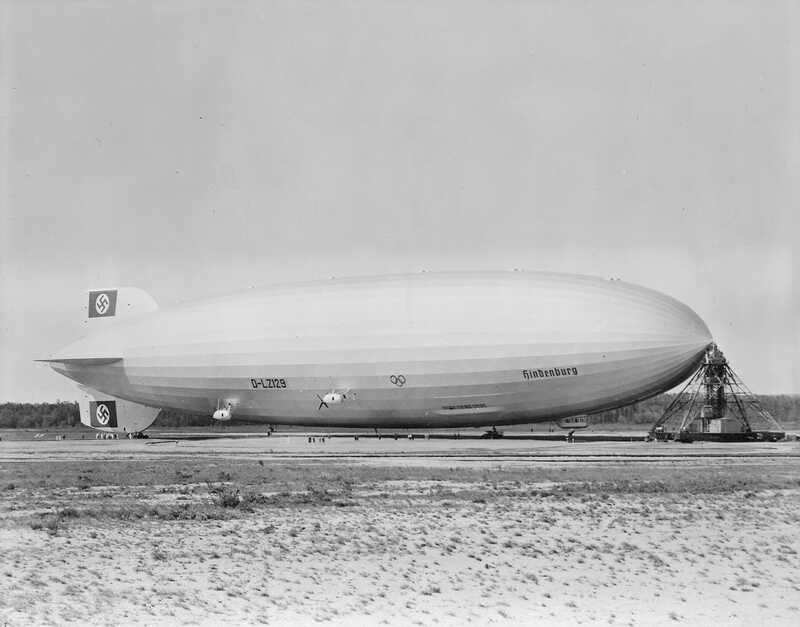 The fire was blamed on a spark that caused the Zeppelin’s hydrogen to ignite. 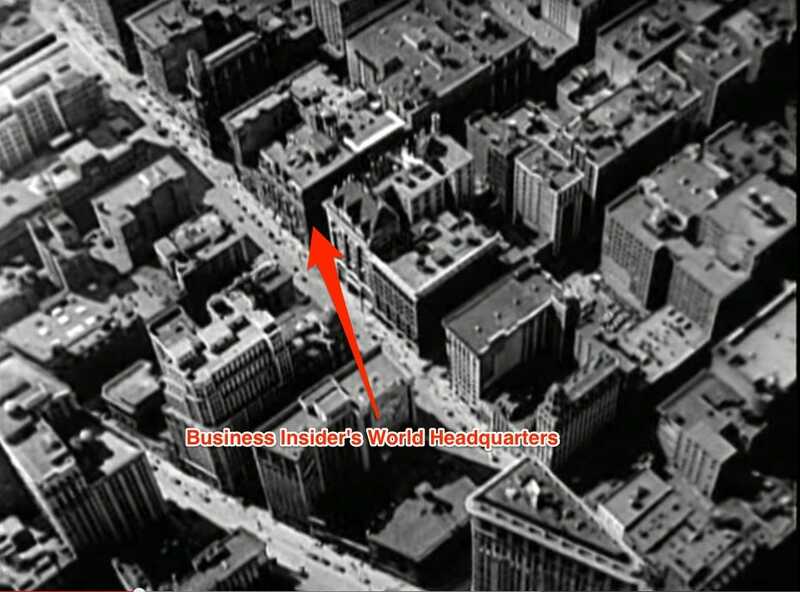 Although conspiracy theories over the cause of the tragedy abound. 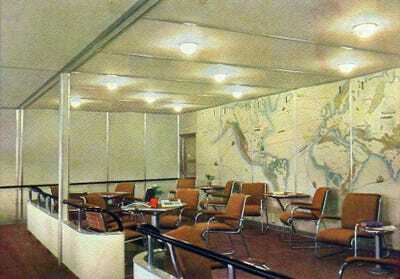 The crash of the Hindenburg marked the end of the airship era and ushered in the rise of rise of airlines like Pan Am. 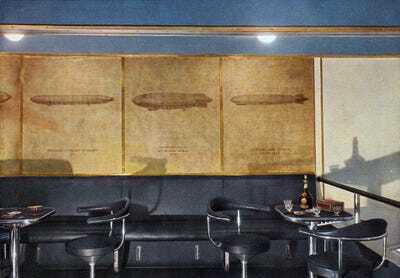 By 1940, the two remaining Zeppelin airships were scrapped on the order Germany’s Nazi regime so their parts could be used to build weapons of war.